In addition to adding excellent depth of gloss, the characteristics of the gel coating formulation also enhance the longevity of the protection from Gloss Tyre & Trim Gel by producing an additional durable clear coating which helps keep the tires hydrated and supple, as well as looking brand new, removing the worn faded look. 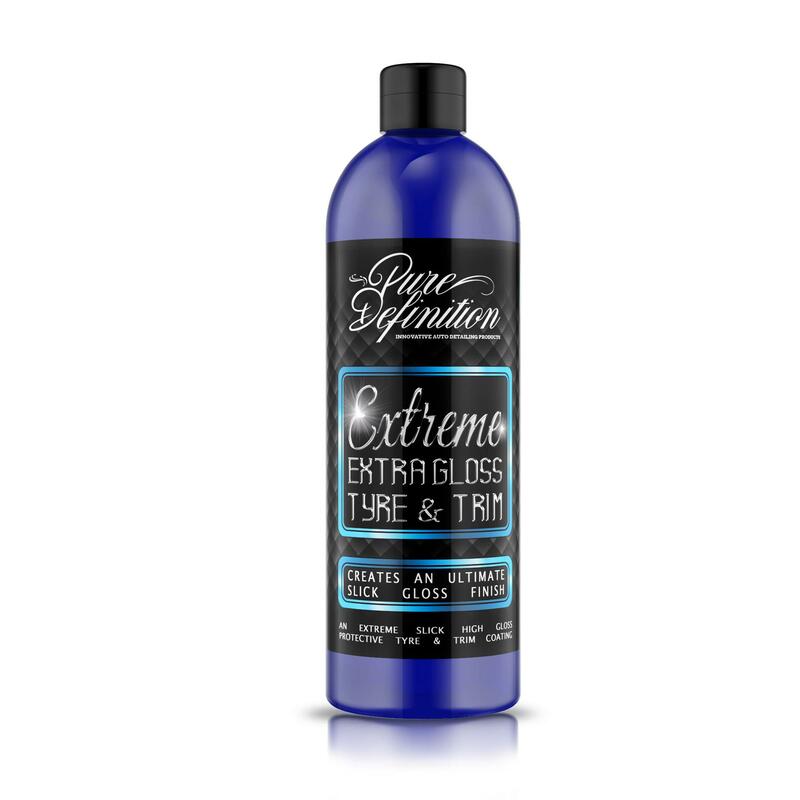 WHAT DOES EXTREME EXTRA GLOSS DO? Extreme Extra Gloss creates a durable clear coating which seals in the surface creating a protective shield which lasts for months. Additionally, the formulation hydrates the surface, making it look brand new, removing the worn faded look and filtering out harmful UV radiation. Extreme Extra Gloss Tyre Gel should be applied when you are after an as new finish on your rubber and plastic vehicle surface. Simply shake the bottle well prior to use and apply a small amount of Extreme Extra Gloss Tyre & Trim Gel to an applicator pad. Liberally apply the gel to the tyre or trim. Do not apply this product to tyre treads. The formulation is uniquely designed to allow application to dry or wet surfaces. A little of this product will go a very long way to enhancing the slickness and gloss of the tyre. Once the surface has been treated with Extreme Extra Gloss Tyre & Trim Gel, simply leave the product as it is on the tyre.